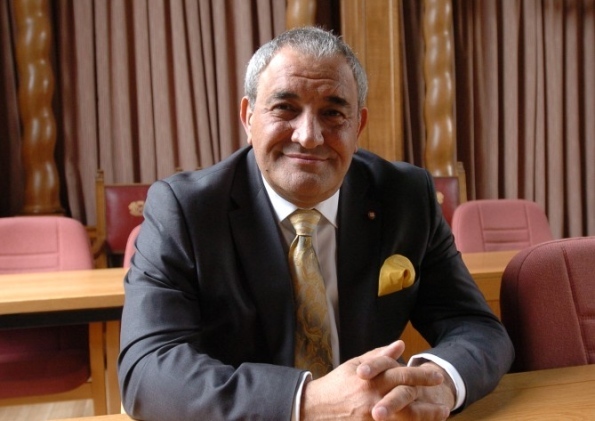 I am Marco Cereste and I am the Ward Councillor for Stanground Central and Leader of Peterborough City Council. I have lived in Peterborough all my life and am passionate about the city and determined to help deliver our vision of a bigger and better Peterborough, a city where everyone has the chance to fulfil their potential and to enjoy high quality public services and leisure opportunities. As ward councillor in Stanground I focus on listening to local people and addressing the issues that matter most to them. Over recent months I have worked with local residents to sort out issues as diverse as faulty street lights, damage to walls caused by tree roots and resurfacing footpaths. A priority for me at the moment is to find the money required to invest in the refurbishment of Stanground College and ensure local children have the best facilities available for their education. I am extremely hopeful of a positive announcement shortly about this. Over the last year my priorities as Leader of the Council have been to promote Peterborough to attract new investment in the city, creating jobs and building new, improved schools, health care and public space. I am particularly pleased with progress in the city centre where the completion of the Cathedral Square redevelopment is attracting new shops and restaurants with more announcements to come. I want to use this website to offer local people the opportunity to understand my views on key issues and to keep in touch with my work. It is vital that we re-engage with the public at all levels – let me know if you think this helps.